Make your voice heard! On Thursday, March 16, 2017, the Autism Society will join with advocates across the country for a National Medicaid Call-in Day to raise awareness about proposed changes to Medicaid’s funding structure in the American Health Care Act (AHCA). The AHCA, the replacement bill for Obamacare, will cut an estimated $880 billion from the Medicaid program over a ten year period. The Autism Society recently expressed our opposition to the Medicaid provisions in the bill due to the devastating impact it could have on people with disabilities. Without action, many of the Medicaid programs that benefit individuals and families affected by autism will cease to exist and wait lists will grow to unprecedented levels. Massive cuts to Medicaid will have disastrous effects on those who need help most. These cuts impact services and supports people with disabilities and their families rely on to be contributing members of society and live independent, and fulfilling lives. Take a stand tomorrow and let Congress know you will not watch while Medicaid goes by the wayside. Call your Member of Congress (202-224-3121) on Thursday, March 16 and tell them to oppose the proposed Medicaid cuts in the AHCA! Now is the time to act. Together we can make a difference! The Arc FINDS Survey – please participate! We are pleased to share that our colleagues at The Arc of the United States in collaboration with the Research and Training Center on Community Living at the University of Minnesota have launched the 2017 Family and Individual Needs for Disability Supports (FINDS) Survey which seeks to capture experiences of individuals with intellectual and developmental disabilities (I/DD) and their families on a range of life-span issues. The survey was sent out in 2010 and out of the 5300 responses only 19 were received from Kentucky. Wouldn’t it be wonderful if Kentucky was well-represented in 2017? Intended survey participants are people aged 18 years or older who provide primary paid/unpaid and frequent support to a person with an intellectual or developmental disability (IDD) living in the United States. They hope to gather survey data which is reflective of the diversity of the United States and we are excited to assist them in this important project. Click on the following link to participate in the survey. Author Sherry CPosted on February 3, 2017 Leave a comment on The Arc FINDS Survey – please participate! We have had to change the location of the meeting. The meeting will now be held at Employment Solutions, 1084 Whipple Court, Lexington. Whipple Court is off Nandino Boulevard, just past the main Post Office (first road to the left after you pass the Post Office if you are coming from Georgetown Road). As always, our meetings are open to the public. Please pass this information along to anyone you think could benefit from attending the meeting. Participant Directed Services gives Medicaid waiver members more choices in the way some Medicaid services are provided. You can choose who will provide the services you need and how, when and where the services will be provided. WHEN: January 19, 2017 from 6:30 p.m. – 8:30 p.m. Please call Sherri Brothers at 502-517-6511 or e-mail sherribrothers@bellsouth.net to RSVP or for more information. Snacks will be provided. Don’t miss this great upcoming Webinar sponsored by The Arc of the United States! Speakers Leigh Ann Davis and Jessica Oppenheim will explore skills needed to engage effectively with law enforcement officers, the criminal justice system, and other authority figures as a witness, victim, or offender. This webinar will provide practical tips for people with I/DD, families, and professionals on how to support people with I/DD to advocate for themselves and engage with authority figures effectively. The Commonwealth of Kentucky updated its Statewide Transition Plan (STP), which outlines our process for implementing the Home and Community Based Services (HCBS) Final Rules. Kentucky received initial approval on its STP in June, 2016, and updated the STP based on additional feedback and comments from the Centers for Medicare and Medicaid Services (CMS). The National Autism Association’s Big Red Safety Box® is a free-of-charge safety toolkit for autism families in need of wandering-prevention tools. Please review ALL of the information below before submitting your application. 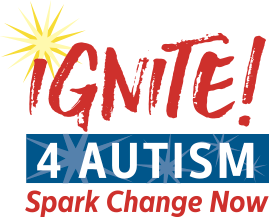 Be the primary caregiver of an individual with an autism diagnosis. Be 18 years or older and a resident of the U.S.
Agree to the terms and conditions stated in the application. Be a first-time recipient. Previous recipients are not eligible to apply. Apply only once. Multiple requests will not be processed, limit one box per family. Allow up to 3 weeks for NAA to process your application and ship your Big Red Safety Box. If you have more than one child with autism and need additional ID’s, wristbands, etc., they can be purchased separately in our Big Red Safety Shop. NAA’s Be REDy Booklet can be downloaded for free. NAA’s Big Red Safety Boxes® have a retail value of $53.00. To help NAA continue this program, we ask you to please consider Paying it Forward by making an optional donation when requesting your NAA Big Red Safety Box®. NAA’s Big Red Safety Box® grants are awarded on a first-come, first-served basis to all qualifying applicants while supplies last. You are not required to make a donation to receive one. You will receive instructions in the box to submit a custom personalization order for your shoe tag at roadid.com. Your tag will be quickly engraved with your emergency information and mailed to you at no charge. Regardless of any tools caregivers may have in place, if a loved one’s medical condition interferes with their ability to recognize danger or stay safe, it is critical that caregivers maintain close supervision and security in all settings. For more information, visit our AWAARE site. Join us for a night of delicious food, entertainment, music, silent auction, cash bar & more at the historic Lyric Theatre & Cultural Center! 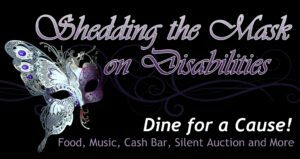 Author Sherry CPosted on September 17, 2016 December 13, 2016 Leave a comment on Dine for a Cause!